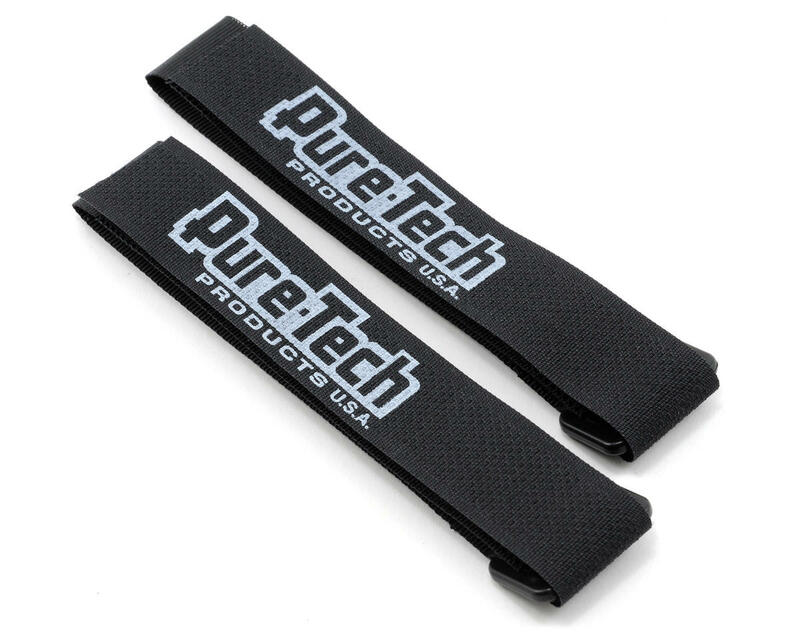 This is a pack of two black Pure-Tech 4" Xtreme Battery Straps. 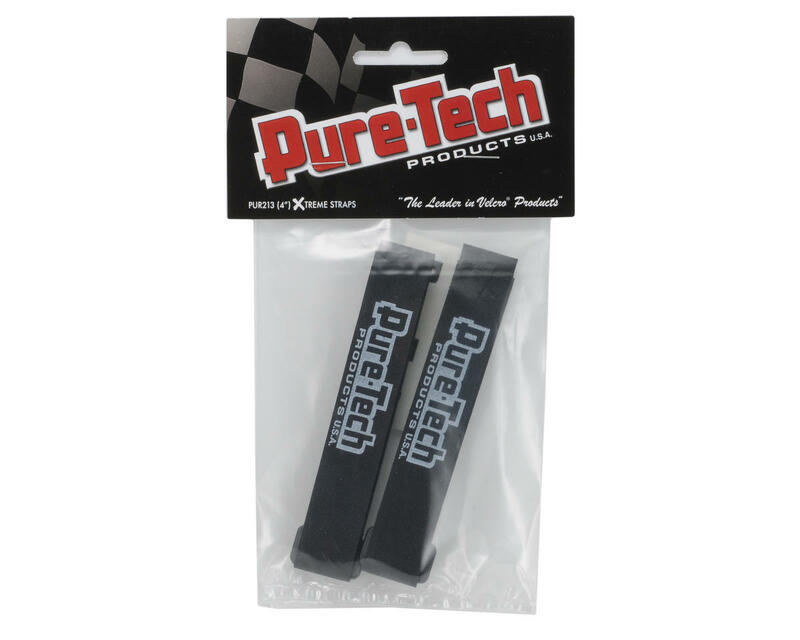 Xtreme battery straps have many applications, from RC Helicopters to Cars and more! Xtreme battery straps are designed to wrap around batteries and electronics, to hold them securely in place. These battery straps are ¾" wide, with a 4" inside diameter (adjustable). These straps are made from the highest quality hook and loop, with a high strength molded buckle, and an ultra-thin nylon webbing for strength. Each package includes 2 straps. NOTE: To determine if these straps are the correct size for your application, wrap a string around the battery and component it will be mounted on, then measure the length of the string. If the string length is between 8.25" and 11", the 4" strap will be adequate.